Paced by senior Madi Graham’s 89, the Warsaw Lady Tiger golf team finished fifth in the East Noble Invitational at Noble Hawk Golf Links Saturday. DeKalb won the team title, beating Fort Wayne Bishop Dwenger by a shot. Northern Lakes Conference member Concord was third, and Huntington North was fourth. FREDRICK, Md. – When the news finally came, she couldn’t stop smiling. And who could blame her? Grace women’s basketball player Lauren Godfrey fulfilled a longtime dream this week when she was selected to the USA Deaf Women’s Basketball Team. SYRACUSE – In an e-mail statement released this morning, Wawasee Athletic Director and former boys basketball coach Steve Wiktorowski announced his retirement, citing health concerns and a longer-than-anticipated recovery from a recent surgical procedure. The retirement will be effective July 31. NEW YORK – After not being selected in Thursday’s NBA Draft, recent Duke graduate and Warsaw native Marshall Plumlee signed a guaranteed free agent contract with the New York Knicks Friday, according to multiple sources. Terms were not disclosed. SOUTH WHITLEY – Recent Whitko graduate Tanner Gaff has signed a letter of intent to continue his baseball and athletic careers at the University of Saint Francis in Fort Wayne, according to a press release from Wildcat head coach Erik Hisner Friday evening. Gaff will study sports management. WINONA LAKE – The Crossroads League announced that Josh Neuhart of Grace College has been named the 2016 Sports Information Director of the Year. The award is given annually and is voted upon by SIDs in the Crossroads League. Neuhart wrapped up his fifth year as Grace’s SID. NORTH MANCHESTER – Manchester University soccer and track and field standout Bridgette Rowe, originally from La Quinta, Calif., has been nominated for the NCAA Woman of the Year award. Rowe, a December 2015 graduate, is among 515 put forward for the honor, the largest number of candidates in the program’s 26-year history, from across NCAA Divisions I, II and III. WINONA LAKE – Clarissa Knight and Chandler Elliott were awarded All-American status after their sterling 2016 seasons. Additionally, the pair was named Second Team All-Region for the National Fastpitch Coaches Association. LEBANON – Southport’s Paul Scruggs led a balanced Junior All-Star Boys attack with 17 points in the team’s 103-90 upset win over the Indiana All-Stars Thursday night at Lebanon High School. Four other players had at least 14 points for the Juniors in the game. Warsaw’s Kyle Mangas started for the Juniors, hitting a pair of shots in six attempts for four points. He also pulled down six rebounds, five on the offensive glass, in 18 minutes of action. PERU – The All-Three Rivers Conference baseball team was announced Tuesday afternoon. Six players from Whitko, two from Tippecanoe Valley and one from Manchester were named all-conference. ROCHESTER – The All-Three Rivers Conference softball team was announced by the conference’s athletic directors on Monday. SYRACUSE – The Wawasee High School athletic department presented its spring sports awards in a ceremony Monday evening at the school. In a match added to the regular-season schedule, Warsaw beat NorthWood 304-320 in an 18-hole non-conference boys golf match at Rozella Ford Golf Club Wednesday. GOSHEN – The Northern Lakes Conference announced Tuesday its all-conference selections for spring sports season. Thanks to a championship in track, and co-championships in golf and baseball, Warsaw passed Goshen and Northridge to claim the Northern Lakes Conference boys All-Sports trophy for the 2015-16 school year. The Tigers compiled 115 points toward the title, to Northridge’s 111 and Goshen’s 104. SYRACUSE – Registration forms are available in the high school athletic office for Wawasee summer camps, most of which begin later this month. Four members of the conference champion Manchester Lady Squires were named to the All-Three Rivers Conference girls tennis team on Tuesday. WABASH – Manchester concluded its boys golf regular season by finishing fifth, and missing third by two shots, in the Wabash Invitational on Saturday. Northfield won the tournament with a team score of 316, two shots better than Marion. Blackford had a 345, Logansport a 346 and Manchester a 347. BATTLE GROUND – Warsaw was ninth and Triton 16th in the Lafayette-Jefferson Classic boys golf tournament Saturday. The Tigers posted a score of 340, one shot behind Indianapolis Cathedral and six shots behind Guerin Catholic for seventh place. CULVER – Warsaw was eliminated from the girls tennis postseason after dropping a 5-0 match to South Bend St. Joe in the Culver Academies Semistate tournament on Saturday. St. Joe will take on host Center Grove in the semifinals of the state tournament on Friday. SYRACUSE – Wawasee head softball coach Jared Knipper resigned from his coaching position to focus more time on his family and teaching, according to a press release issued this morning by Warrior Athletic Director Stever Wiktorowski. ORANGE BEACH, Ala. - Macallister Seitz ended Grace’s track and field season by earning All-American distinction at the 2016 NAIA Track and Field National Championships. Seitz placed eighth in the discus with a school-record toss of 167-feet. He becomes just the second Lancer to earn NAIA All-American status for outdoor track and the first since James Kennedy in 1999. LAGRANGE – Wawasee’s baseball season came to a close after a 13-0, five-inning loss to NorthWood in the first semifinal of the Class 3A Lakeland Sectional Friday night. Triton’s Mace Eads had a hole-in-one on Rozella Ford’s 168-yard second hole, and the Trojans team score of 159 was good enough to beat Tippecanoe Valley’s 165 and Bremen’s 180 Thursday evening. COLUMBIA CITY – Tyler Green carded a 33 for Columbia City, and the top five Eagles shot 40 or better in a 148-178 win over visiting Wawasee on Wednesday. Warsaw track athletes Lucas Cone and Owen Glogovsky were named to the Indiana Association of Track and Cross Country Coaches Academic All-State team this week. FULTON – Nine Triton student-athletes were named to the All-Hoosier North Athletic Conference Academic Team Thursday. WABASH – Taking advantage of five Whitko errors, Lewis-Cass scored in every inning but the sixth in an 11-4 win over the Wildcats, ending Whitko’s season in the first round of the 2A Wabash Sectional Wednesday. WABASH – Manchester sophomore Hayes Sturtsman struck out 11 Rochester hitters, allowed no earned runs, had three triples and drove in three runs to lead the Squires’ baseball team to a 13-4 win over Rochester in the opening round of the 2A Wabash Sectional Wednesday. LOUISVILLE, Ky. – Trine's Kendra Marshall has been named a National Fastpitch Coaches Association Division III Softball All-American, the organization announced Wednesday evening. Marshall, a Leesburg native and Warsaw alum, earned Second-Team All-American honors as a third baseman to cap off an outstanding senior season. BOURBON – Triton won its fourth straight 1A sectional title, and fifth overall, by beating visiting Bethany Christian 16-0 in five innings at Keyser Field Tuesday night. CONVERSE – Oak Hill freshman Jennessa Hasty homered with two outs and nobody on in the bottom of the seventh inning to tie the game, then the Lady Golden Eagles’ Maddie Nall had a sacrifice fly in the eighth to give the hosts a 4-3 win over defending sectional champion Manchester Tuesday night in a 2A softball sectional first-round game. CONVERSE – Whitko’s softball season came to a close after a 6-0 loss to North Miami in the 2A Oak Hill Sectional Tuesday. Northridge scored four runs in the first inning, and that was enough for the Lady Raiders to take a 4-2 win over Warsaw in the semifinal of the 4A Warsaw Sectional at the Tigers Athletic Complex Tuesday. Whitko posted its best team score of the season, but still lost to Triton 165-175 in a non-conference boys golf match Tuesday at Rozella Ford Golf Club. GULF SHORES, Ala. – Grace College’s track and field team will be represented by four student-athletes at the 2016 NAIA Track and Field Outdoor Championships. BOURBON – Taytum Hargrave tripled twice and scored three times, and Nichole Sechrist had two hits and scored three times in Triton’s 13-2, five-inning win over Lakewood Park Christian in the 1A Triton Sectional semifinals Monday night. ELKHART – Warsaw closed out its baseball regular season with a 10-7 win at Elkhart Central Monday night. Henry Howard had a three-run homer for the Tigers. Zach Witt doubled twice in the game, with Liam Patton and Braxton Tennant adding two hits each. SOUTH WHITLEY – Tanner Gaff, Hunter Sroufe and Garrett Smiley all hit home runs for Whitko in the Wildcats’ 14-6 win over visiting Churubusco Monday night. 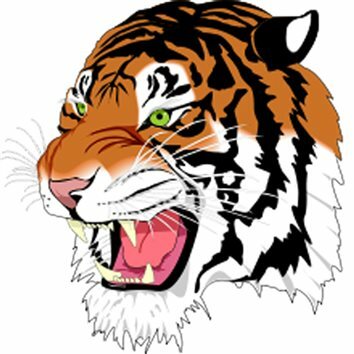 Warsaw closed out its baseball regular season by dropping both its games in the Tiger Tournament Saturday, falling to sectional foe Penn 10-3 and 5-4 to DeKalb in the third-place game. NORTH MANCHESTER – Manchester’s baseball team closed out its regular season with a pair of shutout wins, 2-0 and 5-0, over visiting LaVille on Saturday. ARGOS – Zac Pitney doubled twice, scored a run and drove in three to help lead Triton to an 11-0, six-inning win at Argos Saturday. SOUTH WHITLEY – Whitko earned a pair of 11-6 wins over visiting Prairie Heights Saturday. In the first game Whitko trailed 5-2 heading to the bottom of the third. The Wildcats responded with four runs in their half of the third, two in the fourth and three more in the sixth for the win. Alex Robbins was the winning pitcher. Landen Goff had two hits and scored four times, and Tanner Gaff had a double among his two hits and scored three times. LAGRANGE – Visiting Wawasee scored nine runs in the seventh inning to break open a one-run game and take a 12-2 win over Lakeland on Saturday. FULTON – Three Triton softball players and one baseball player were named to the All-Hoosier North Athletic Conference teams announced this morning. NAPPANEE – Northridge won the Northern Lakes Conference boys golf tournament by one shot over Warsaw, 320-321, Saturday at McCormick Creek Golf Course in Nappanee. Wawasee finished sixth at 339. BREMEN – On the power of finishing 1-2 in four events, Whitko won its second consecutive boys track sectional title Thursday night, beating Plymouth by 20 points. Manchester was fifth, Tippecanoe Valley sixth and Triton 11th in the team standings. The Wildcats put some distance between themselves and the Pilgrims when Walker Hobbs and Gavin Howard took the top two spots in the shot put, the next-to-last event completed in the meet. PERU – Manchester ‘s girls tennis team advanced to the Peru Sectional championship with a 5-0 win over fellow Three Rivers Conference member Northfield Thursday. BREMEN – Triton’s Shayla May came up just short of winning an epic girls tennis sectional match against Bremen’s Kylie Phillips at No. 1 singles, and it was enough to end the Lady Trojans season with a 3-2 loss to the Lady Lions Thursday. Sterling Hay, Marselo Rodriguez and Braxton Tennant had two hits each in Warsaw’s 8-7 Northern Lakes Conference baseball win over visiting Elkhart Memorial Thursday, clinching a share of the NLC title for the Tigers. CULVER – After trailing 2-0 after three innings, Triton scored twice in the fourth and sixth innings, and three in the fifth to secure a 7-2 Hoosier North Athletic Conference baseball win at Culver Community Thursday night. MIDDLEBURY – Wawasee split a pair of Northern Lakes Conference boys golf matches Thursday, losing to Northridge 157-180, with Goshen shooting a 199 at Meadow Valley Golf Club. AKRON – Tippecanoe Valley helped forge a four-way tie for the Three Rivers Conference baseball title with a 3-2 win over front-running Peru Wednesday night. The Vikings pushed across the winning run in the bottom of the sixth inning. SOUTH WHITLEY – Whitko scored nine runs in the second inning and five more times in the fourth to finish off a 14-0, five-inning win over visiting North Miami Wednesday. The win allowed the Wildcats to claim a share of the Three Rivers Conference baseball title, along with Tippecanoe Valley, Peru and Southwood. PERU – Manchester’s girls tennis team opened the first round of sectional play with a dominating victory over host Peru. Manchester gave up just six games combined in route to a 5-0 team win. BUNKER HILL – Kiera Stacy had four hits and Kennedy Fierstos drove in three runs in Manchester’s 10-0, five-inning softball win over Maconaquah in Three Rivers Conference play Wednesday. The win gave the Lady Squires their first Three Rivers Conference title since 2007. BUNKER HILL – Manchester scored twice in the first inning, but collected just five singles in a 10-3 loss at Maconaquah in Three Rivers Conference baseball Wednesday. NORTH MANCHESTER – While playing in the best weather the team has seen this season, the Whitko boys golf team fell to Fort Wayne Canterbury, 163-183, Wednesday at Sycamore Golf Club. SOUTH WHITLEY – North Miami broke a 5-5 tie with three runs in the top of the seventh inning to beat Whitko 8-5, spoiling the Lady Wildcats’ softball Senior Day. MISHAWAKA – Marselo Rodriguez had three hits and Braxton Tennant added two more in Warsaw’s 4-2 win at Mishawaka Wednesday. ELKHART – Warsaw’s boys golf team split a Northern Lakes Conference match at Christiana Creek Country Club Wednesday. Plymouth turned in a score of 151 to the Tigers’ 165, with Elkhart Memorial at 182. AKRON – Visiting Peru scored six runs in the fourth inning, then held off Tippecanoe Valley’s late rally for a 13-9 Three Rivers Conference softball win Wednesday. BOURBON – Triton took a pair of softball games from visiting Argos by identical 10-0, five-inning scores Wednesday. DUNLAP – Allissa Flores, Meghan Fretz and Danielle Gunkel each had doubles, with Fretz adding two runs batted in and Flores driving in another in visiting Wawasee’s 4-1 win over Concord Wednesday. SYRACUSE – Wawasee’s baseball team has struggled to avoid giving up a big inning this season, and Wednesday was no different. Concord got eight runs in the fourth inning to beat the Warriors 8-5 in Northern Lakes Conference play. ROCHESTER – Manchester junior Rae Bedke was a double winner in the Rochester girls track sectional Tuesday, taking the 1600 and setting a new school record in the 3200. The Lady Squires finished fourth in the team standings, best among schools in the Times-Union coverage area. Whitko was sixth, Tippecanoe Valley seventh and Triton eighth. Bremen was the sectional champion, edging Culver Academies and Plymouth for the title. ROCHESTER – Tippecanoe Valley’s boys golf team split a Three Rivers Conference home match Tuesday. Northfield earned two wins with a team score of 175, followed by the Vikings’ 183 and Wabash’s 215. NORTH MANCHESTER – Noah Cain’s 40 helped Manchester to a 196-250 win over North Miami in a Three Rivers Conference boys golf match Tuesday at Sycamore Golf Club. NORTH MANCHESTER – Brooklyn Howard and Mattie McKee combined in the pitcher’s circle to hold Tippecanoe Valley to three hits, and colleted three hits each of their own in a 10-0 Lady Squire win in Three Rivers Conference play Tuesday. GOSHEN – Wawasee scored eight runs in the top of the first inning, and held off a late Fairfield rally to beat the host Falcons 11-9 in a non-conference baseball game Tuesday.